How can a brain injured accident victim get better? How long will the healing process take? How much will it cost? Will it work? These are some of the questions which accident victims, and their families have shortly after and long after the subject accident. Technically, “rehabilitation” is the process of restoring abilities that someone used to have, but lost, due to injury or illness. This is in contrast to “habitation”, which aims to help someone acquire abilities which they never had. Rehabilitation is a goal-directed process. Its goals are to optimize the accident victim’s health and functional abilities. Rehabilitation is about function. Because every traumatic brain injury is unique, a rehabilitation plan should be catered to meet the accident victim’s needs. It is generally accepted that the rehabilitation process should begin as soon as possible after the injury or accident. In the past, rehabilitation did not begin until the patient was medically stable and the acute medical stay was completed. Today, rehabilitation begins in the intensive care unit (ICU), and continues as long as needed. Obviously, the goals of an accident victim in a coma in the ICU are very different from the goals of an accident victim with a mild traumatic brain injury associated with some irritability and minor memory problems. And in fact, there are different stages of the rehabilitation process, with different objectives and goals. How does rehabilitation work in a brain injury case? During the recovery period, the brain is healing itself; all on its own! Parts of the brain may have been so injured that they were not able to function properly for a period of time, but may eventually recover in days or weeks. Other parts of the brain, may have been permanently injured in the car accident or otherwise and the brain cells mays have died completely. When this happens, the brain can accommodate some of the changes due to a certain amount of “plasticity”. The brain is a unique organ, and can learn to do things that were previously never done in the injured part of the brain. For lack of a better description, the brain is pretty smart! It may, however, never do these tasks as well or as efficiently, or as quickly as were done before the brain was injured. And there are also some things that the brain may not be able to relearn at all. If, during the recovery phase, part of the brain that has not been “working” properly starts to resume its previous functions, recovery will occur rapidly. If, on the other hand, the brain needs to relearn certain functions, progress will proceed more slowly. Given that the brain will be able to relearn some things and not others, it makes sense to take a two-pronged approach to the rehabilitation process. First, efforts should be made to help the accident victim relearn and do things s/he can no longer do, as well as relearn those skills and functions. Secondly, the accident victim should simultaneously be working on taking advantage of their abilities, and learning to use those abilities to compensate for their inabilities. That is, they should be learning to solve problems or do things in a different way if old methods no longer work. For example, while many brain injured accident victims used to remember the dates and times of simple appointments before their accident; following their accident they find that using a day planner necessary to remembering these appointments. Who is on the brain injury rehabilitation team? The centre of the team, is of course the accident victim. In addition, there are a variety of rehabilitation professionals who will work with the accident victim to optimize their health and assist in recovery. The exact makeup of the rehabilitation team varies, as it will be tailored to the individual needs of the accident victim and the severity of the injury. Here in Ontario, the makeup of the rehabilitation team will also be catered based on the funding available for rehabilitation. Sometimes, the funding for the rehabilitation team is covered by OHIP. Other times, funding for the team will not be covered by OHIP, or only small parts of the therapy will be covered. In such a case, the accident victim and their family may have to pay for the rehabilitation costs out of their own pocket. Other times, there may be coverage available through a health insurance policy through work with a company like Manulife, Great West Life, or Standard Life. Other times, car insurance will cover a portion of rehabilitation costs, or all of them depending of the severity of the injury. For non-catastrophic car accident cases, car insurance will cover medical and rehabilitative costs up to $50,000. This benefit amount increases to $1,000,000 for catastrophic car accident cases. It’s important to note that when dealing with car insurance to pay for the cost of rehabilitation, which is not covered by OHIP, the car insurance company will only pay for costs and expenses which they themselves deem to be “reasonable and necessary”. Of course, it’s not very profitable for the car insurance company to pay out every cost on the claim, no matter how serious or devastating the injury. Insurance companies don’t get as rich as they do by paying out each and every claim. They tend to challenge and deny many rehabilitation costs. They will refer accident victims for medical examinations with their own hand-picked experts who are paid by the insurance companies for conducting the assessments. I doesn’t take a personal injury lawyer to tell you that these assessments will come back stating that the proposed treatment for the accident victim is neither reasonable nor necessary. In order to challenge the findings from the insurance doctors, your lawyer will need to apply for mediation with the Financial Services Commission of Ontario (FSCO). Unfortunately, there is a large backlog at FSCO, so the wait time for mediations can take over a year! 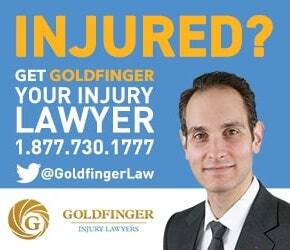 We here at Goldfinger Injury Lawyers recognize that this wait time is completely unreasonable. It’s not fair for accident victims to have to wait over a year to get the treatment which they deserve. There’s nothing we can do to change the law, or how the government system works. We can however sue if your mediation is not heard within 90 days. The Courts have ruled that the mediation is deemed to have failed if it’s not heard within that timeframe. But this still doesn’t help the accident victim get the treatment which they need in order to recover. As the accident victim progresses, and recovers, the needs of the accident victim change. With these changes in needs comes a change in the rehabilitation team. Some team members are seen more frequently, or less frequently than others. Again, this all depends on the nature of the injury, the person’s comfort level and the funding available.